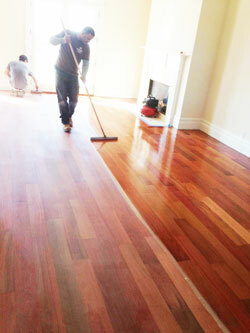 Hardwood floor refinishing is one of the best things you can do to dramatically improve the appeal of your property. High traffic & constant movement of chairs accross floors can wear down hardwood floor finishing in sometimes just a few years. When your floors’ finish is dulled down or scratched, it may be time for a refinishing to restore the floors’ natural beauty. Perhaps you have floor boards that are covered by some flooring material like linoleum, and you wish to remove it and refinish the floor boards. Or you may just wish to change the color of the wood floors. Whatever your needs are, Gemini Floor Services specializes in hardwood floor refinishing. 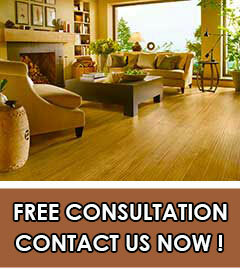 We’ll bring your hardwood floors back to new. Gemini uses top of the line Hummel & Galaxy sanding machines equipped with inbuilt vacuums for minimum dust. You will not need to worry about covering your belongings as these sanding machines work efficiently with low dust emission. Your floor’s existing finish along with approximately 1/32″ of wood will be sanded off to expose a clean unfinished surface. If necessary we will use wood filler to patch any damaged areas or inconsistencies which are not removed by sanding alone. We work with high quality eco friendly stains like Duraseal & Minwax. Match your existing stain color, choose a new color from a wide variety, or finish your floors without stain, keeping the natural look of the wood. 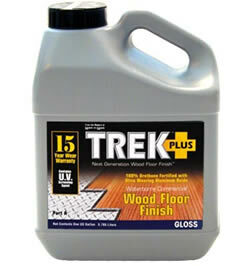 We also offer bleaching & pickling for a natural light/ white look on light colored woods like pine, oak or ash. Whatever color you desire for your hardwood floor refinishing, we will help you achieve it. We can custom mix colors as well. We’ll help you to to see in advance what the stain will actually look like on your floor by creating some sample spots to help you make your choice. When required we’ll match the colors of other existing floors. We finish our floors with water based acrylic polyurethane. 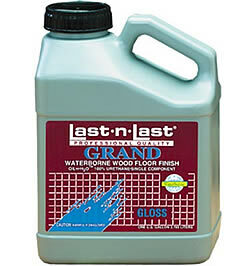 It is a fast drying eco friendly product with very low odor. 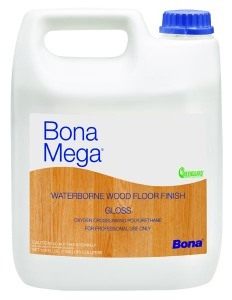 Most floors require 3 coats with a one hour dry time between coats. The floor is then ready for foot traffic within 24 hours. Oil based polyurethane is also also available. It can provide a higher gloss, although it is also higher in fumes and the dry time is much longer. 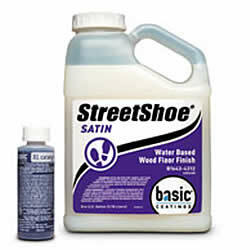 Most floors require 2-3 coats with 12 hour dry time between coats and foot traffic recommended only after 24-48 hours. 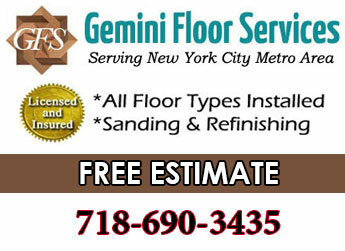 Whatever your needs are for your hardwood floor refinishing Gemini will deliver.